Nudedragons? It was actually a reunited Soundgarden with a phony name (actually an anagram of the band’s name), performing for the first time in more than a decade for a pumped-up, full-capacity crowd of longtime fans at Showbox at the Market. 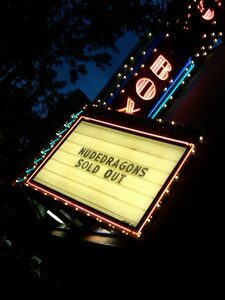 Putting “Soundgarden” on the marquee instead of “Nudedragons” might have caused more pandemonium than the Showbox could handle. The show, a public rehearsal for the Seattle band’s performance in August at Lollapalooza, sold out within 15 minutes of going on sale Friday (April 16). Singer Chris Cornell, also a veteran of Audioslave, announced the band’s reunion — something most fans never really expected — at the first of the year. 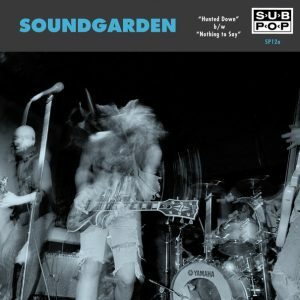 Rumors of a Soundgarden performance at the SXSW music conference and festival last month in Austin, Texas, had attendees buzzing. But it never happened. Those who scored Showbox tickets, myself among them, were indeed fortunate to experience a 90-minute concert by one of the leading bands of the grunge era, a raucous outfit led by Cornell and featuring Kim Thayil, bassist Ben Shepherd and drummer Matt Cameron (now Pearl Jam’s drummer). Among those in the crowd were Pearl Jam’s Stone Gossard, Mudhoney’s Mark Arm and Sub Pop Records co-founder Jonathan Poneman. Gossard was on the same stage Wednesday (April 14) with his Hank Williams tribute band, Hank Khoir, as part of an all-Seattle lineup that featured Brad, Satchel and Pigeonhed (read about it here). 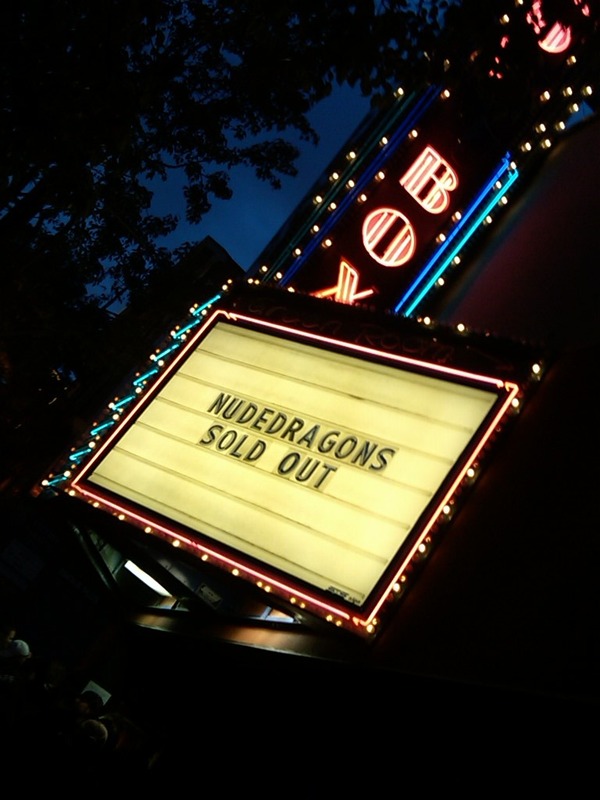 Long before doors opened at the Showbox, ticketholders lined the sidewalk. And many without tickets milled around outside, hoping for a miracle or just a chance to be part of an historic event, at least peripherally. Cameras were forbidden, and anyone who raised a cell-phone camera was told to put it away or have it confiscated. I managed to fire off one blurry shot of Cornell, but it’s not clear enough to share with readers. Soundgarden, er Nudedragons, looked and sounded terrific. It was as though no time had passed since the group’s untimely breakup 13 years ago. 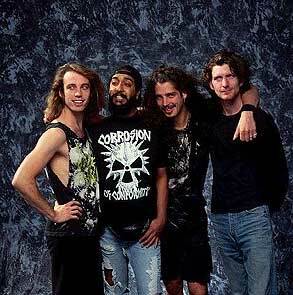 Everyone looked lean and fit, and Cornell (in T-shirt and jeans) was fully in command of the group he disbanded in April 1997. I have attended many Soundgarden shows over the years, and this show was as solid as any in the group’s heyday, even if it was just a rehearsal. Cornell said little during the serious, no-nonsense performance. But band members couldn’t help grinning. Shepherd seemed almost gleeful, hopping around the stage and obviously thrilled to be back in front of an adoring audience. At the end of the show, the band saluted a famous band of the ’60s with the show’s only non-Soundgarden song. Among the songs in the main set was “Hunted Down,” the band’s first single in 1987. The raucous song has been reissued by Sub Pop on seven-inch vinyl. Thayil’s thunderous riffs were a delight. He was one of the greatest guitarists of the Seattle rock scene, and sorely missed by fans. So, next stop: Lollapalooza. Unless there’s another public rehearsal between now and then. I have some great memories of Soundgarden’s last Lollapalooza performance — in 1996 at The Gorge. Read about it here. 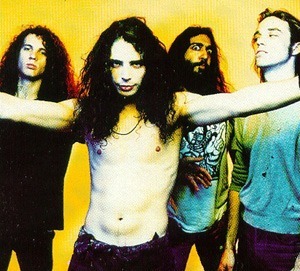 For updates on Soundgarden’s activities, go to the band’s Web site. I was in attendance at the 1996 Gorge show on the Lollapalooza tour, and I have to say..I disagree. The band was pretty good, Cornell, not so much. And this coming from a HUGE Soundgarden fan. I’ve loved them for half my life now, and will be a fan forever. That will be what I play for my Grandkids, my kickass version of the ‘oldies’. I’m not sure if it was that we were at the end of the tour, the end of the band itself, or there were substance abuse issues at the time. But, it wasn’t their finest performance. Cornell’s voice was grating and lacking. It’s almost as if he wasn’t even really there. Like you had two seperate performances onstage at the same time. I’ve since seen Cornell on a solo tour, and he was spectacular. He doesn’t ever really engage the crowd much, but his game was quite on top. I’m considering a last minute trip to Chicago this weekend, since no one knows what the future of Soundgarden holds. It could very well be a last chance. I hope they shine for the crowd and consider giving the band another chance. Look at Pearl Jam, they seem to be able to continue on, new material, evolving. Colorado is pumping out bands left and right, but Washington State still has it!